“Entertainment, out of the box, improvement, open minded, achievement, dedication, underdog, learning, perform, balance, positive, passion, no limit, humble, hustler, winner, party, loyal, yolo, real.” This is Fight Culture all about. 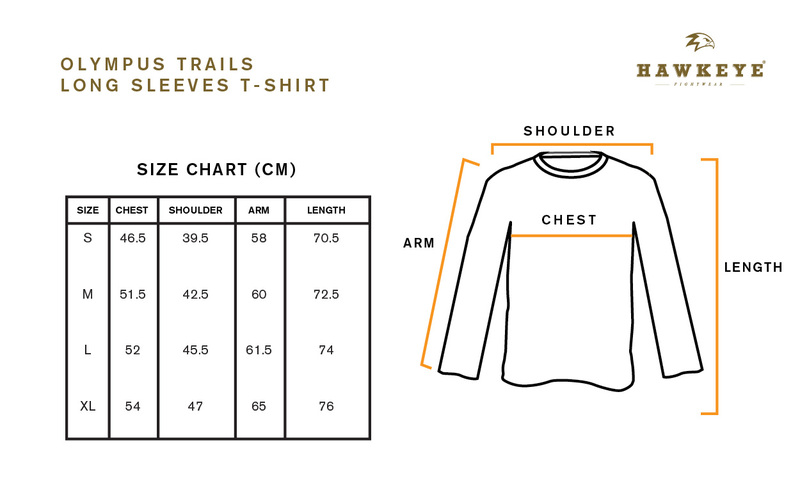 Olympus Trails long sleeves t-shirt collection designed with premium Lightweight Cotton fabric from Indonesia cut in a fighter fit, that you can wear in any weather condition. Complete with rib-knit crewneck, and a Olympus Trails woven logo label at the hem.